High-altitude launch for CSS’ SpyLite mini UAV. Credit: BlueBird Aero Systems. Cyient Solutions & Systems (CSS) has secured an order to deliver SpyLite mini unmanned aerial vehicle (UAV) systems to the Indian Army to carry out high-altitude aerial surveillance. CSS is a joint venture company established by India-based global solutions provider Cyient and Israel-based tactical unmanned aerial systems (UAS) manufacturer BlueBird Aero Systems. This is the first supply order received by the company from a unit of the Indian Army. CSS managing director and chief executive officer NJ Joseph said: “Defence and security forces around the world have come to rely on the SpyLite’s exceptional performance. 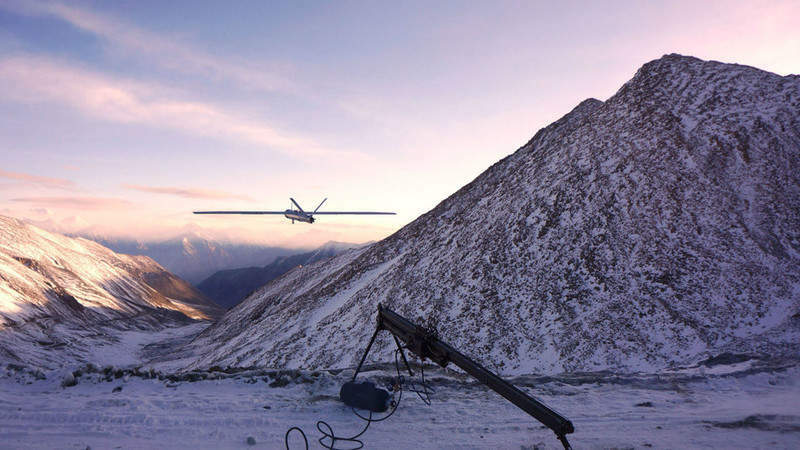 During a trial, the company demonstrated the capability of its new UAV system to carry out real-time surveillance and target acquisition at very high altitude and in extreme weather conditions. The SpyLite UAV successfully demonstrated its quick operational readiness supported by launch and recovery in high altitudes and harsh terrains. The system uses high-end payloads to offer quality day and night videos for an increased control range while ensuring a high level of safety with automatic return home and recovery even in ‘no communication’ scenarios. CSS’ SpyLite is a fully autonomous, combat-proven, electric, mini UAS that has been designed to offer covert, extended range real-time visual intelligence. From launch to accurate parachute recovery, the UAV ensures enhanced reliability, thereby providing long endurance and high-operational availability. Also operational with the Israel Defense Forces (IDF), the drone is built to carry out intelligence, surveillance, target acquisition and reconnaissance (ISTAR) missions.